real madrid – Bouncebackability Rules. The Iker Casillas Saga: When Parting Is Not Sweet Sorrow. Iker Casillas has left the building. The Santiago Bernabeu Stadium, that is. It was one of the longest drawn-out goodbyes/breakups in recent football history. And boy, was it messy. Predictably, a sizeable amount of Real Madrid fans are still on meltdown mode. I am not a Real Madrid supporter. I do, however, admire and dare I say it, love some of their past and current players. They are a very interesting team to watch, and they are probably the biggest Reality Show in Football (N.B. There also have been comparisons made with Game of Thrones, and really, they are not far wrong). I have expected Iker’s departure for months now; the only question was to which club he will end up in. The Arsenal rumours were there for a long time, until they managed to snag Petr Cech from Chelsea which effectively put them out of the running. Roma, Fenerbache and a few other clubs were tossed around, but none of those apparently made the grade. Then came Porto. It’s almost a strange joke by destiny; Iker ending up with the Portuguese club that is so strongly linked with Jose Mourinho—the Special One, a.k.a that Manager he famously fell out with during his tenure at Real Madrid (and possibly, that became the tipping point of everything). Not quite a few scratched their heads at this. Porto? The Portuguese League? Iker Casillas is a World Cup/2x European Champion for Spain and has had more than his fair share of titles and cups with Real Madrid. So how come no bigger club has taken an interest in him? One side of it is, Iker—nay, San Iker—wants us to believe that he has been unceremoniously pushed out from the beloved club he has dutifully served for 25 years. He was cheated financially, bullied, and pressured from all sides. The president and the board has allegedly mounted a multi-season smear campaign against him and despite his repeated wishes to stay on and fight for a place in the starting lineup, he was simply not wanted anymore. The now-infamous interview of his parents in El Mundo revealed juicy details that make up wet dreams of British tabloids. Conversely, the club wants us to believe that the Saint the public adores is not really a Saint but just a regular, even greedy footballer that got too big for his boots and tried to take on a club that has nurtured him for most of his career. The nerve! He was good, became a great and then throughout time, somehow turned …toxic. He leaked secrets, pushed out a manager and fellow players, and slowly became a symbol of division. There are three sides to this story: Iker’s, the Club’s and the Truth. Sadly, it seems we will never truly know the real score. Perhaps Iker should have demanded Trial by Combat instead, because he sure got mercilessly battered and lost the Public Trial that ensued. Tears were unabashedly shed by Iker as he read his farewell statement—alone, and the event was simply attended by photographers and journalists. Not the ideal sendoff befitting a player of his caliber. Predictably, backlash ensued not just from the RM fans but from football fans in general, and so a “proper” farewell was arranged by having him stand in the middle of the Bernabeu pitch with the trophies he has won and letting fans inside the stadium for him to say adios to. Let us not forget the mini testimonial, and then photo calls with the President, holding his “Legacy Shirt” and being forced to put on smiles as though he means them. It was a ridiculous and insulting charade and we all know it. Perhaps Iker can take comfort from the fact that this was not the first time this has happened to a football player, and this will certainly not be the last. Screw or be screwed. Sad, but this sums up the business of Football in this age. Can time really heal all wounds? We shall see. At the back of my mind, I think there will come a time when Iker will return to the Bernabeu; he will don the club shirt yet again and maybe play in one of the Corazon Charity Matches with his former colleagues. He will be glad to be back and put the ghosts of the past behind him, but for now, he needs to live with the choices he has made and start over. And life in the Santiago Bernabeu will go on. Thoughts On Michael Owen: My Story. In case you haven’t noticed (or you’re new to this blog), I am and forever will be a Michael Owen fan. Let’s just get that out of the way already. 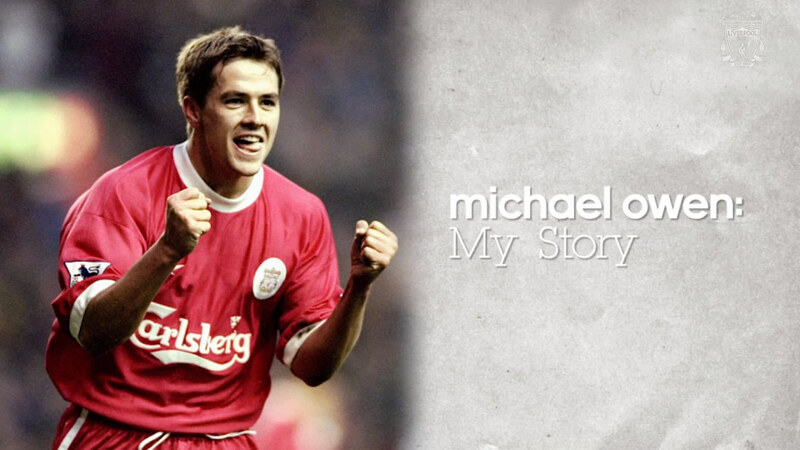 Despite having read his autobiography Off The Record, I’m still very much interested in anything Owen-related, so of course it was a much pleasant surprise when I found out that LFC TV has produced an interview/documentary entitled Michael Owen: My Story. It’s about time! It was not easy for me as an overseas fan with no access to LFC TV content to see it, but I finally got hold of it from a fellow LFC fan who kindly uploaded it for me (you know who you are and you’re awesome!). So where do I even begin? What stands out about Michael Owen was just how confident he was (and still is, I suppose) about his talents and abilities not just as a football player but as a person. Money, image, fame and the like never factored into his journey—for him it was all about playing football and scoring goals. That clinical, almost single-minded approach earned him equal parts admiration and critique. But really, that’s just the way he was as a player, and I’m glad that up to now he stays true to himself and makes no apologies for it. 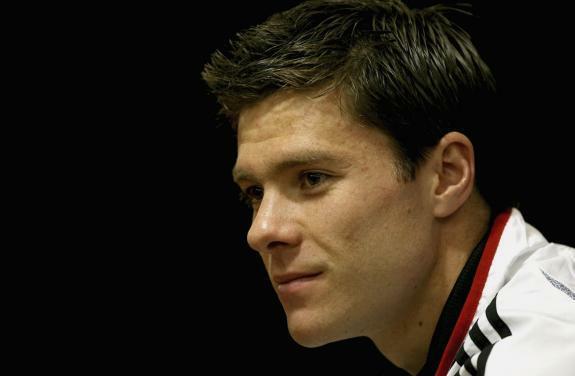 The first half discussed his humble beginnings, his meteoric rise to the Liverpool and England Senior Squad, as well as that extraordinary 2001 Treble Year that he was part of. It was amusing how even winning the European Football Player of the Year 2001 wasn’t that much of a big deal to him (at that time), and the gravity of it only sank into him a few years later. Seeing snippets of his goals as a Liverpool player made me feel as if I’m a teenager again, and that nothing mattered but the beautiful game that is Football. To be honest, most of it was perfectly straightforward, nothing that a longtime Liverpool or Owen fan doesn’t already know, and although ex-teammates were mentioned in passing, only Carra’s name cropped up a lot. I know Michael and Jamie are still good mates until this very day, but what I really wanted the interviewer to touch on is how Michael and Steven Gerrard’s relationship are these days. I know Stevie wasn’t particularly happy when Michael signed for rivals Manchester United, and although they have crossed paths a number of times in Anfield, I have not heard of them interacting together like the old friends they once were. Am I being paranoid or are my suspicions valid? Anyway, the Owen-Gerrard rift (or lack thereof) shall have to remain a mystery for now. And then things got really interesting. So that move to Real Madrid was finally brought up: Ten years may have passed (dear me, has it really been that long?!) but I still feel a knot in my stomach every time he talks about it. And boy, did he talk about it. For the first time in years, the usually calm Owen surprisingly displayed a bevy of emotions as he discussed leaving Liverpool for Real Madrid, being denied a return by Newcastle and then making the decision to play for blood rivals Manchester United. Saint Michael, The Wonderboy: He is human, after all. You never really forget or get over your first love. The atmosphere was mostly relaxed, there was never a hint of sensationalism nor forced controversy. Overall, it was candid, earnest, at times heartbreaking and bittersweet. Haters: All your arguments have been proven invalid. Although some questions have been answered, I still have a hundred more unanswered ones. I’m still hoping that at some point in time, Michael will update his autobiography one more time to expound on his adventures. I feel like he has so much more to say. Forty-six minutes just weren’t enough—I want more of that emotionally-charged last 10 (or so) minutes! Haven’t seen it yet? Click HERE to view the complete interview online. The Midfield Maestro. The Long Ranger. Flawless GQMF. 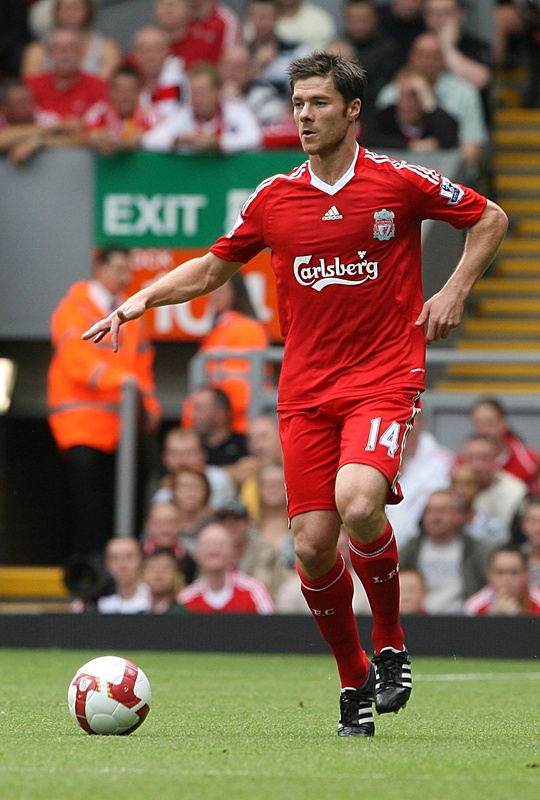 It is with equal parts shame and pride that I’ll confess to not liking him when news first broke of his move to Liverpool from Real Sociedad in 2004. Firstly, he was one-half of the Spanish twosome (the other being Luis Garcia) whose purchase was partly-funded by the money Real Madrid CF paid Liverpool FC for the sale of Michael Owen, and since my “I’ve-just-lost-my-favourite-footballer-to-another-club” wound was still so raw that it was seriously impairing my ability to think clearly, it was with near-complete disdain that I assessed his arrival. Secondly, he was handed the number 14 shirt, which was then an empty number for several years, and since it’s my favourite number, my line of thinking was that even a football demigod wouldn’t be deemed worthy to have that number on their back (real mature of me, I know). I immediately decided that I was not going to like this Spaniard–Ever. However, Alonso proceeded to prove me wrong on every account of my rather-superficial and highly-irrational disdain for him with every single match that he played, with every single pass he completed. The fluidity of his passing and sheer awareness of the game made me appreciate the midfield wars and tactics as much as I anticipate the elusive attacking breakaways. I consider him as one of the most clever and intelligent footballers out there–he’s calm in the face of a storm, confident without being arrogant and a natural leader without being an usurper. Far from being a flashy player, he still ends up as one of the most powerful and influential players in any match when he is at his absolute best. From club football to international football, his sheer class shines through. Eminence grise, indeed. Even though he resisted the overtures of Juventus, when Real Madrid came a-calling, it was an offer he could not refuse, and when he left Anfield to come back to the Spanish La Liga to join Los Blancos, I felt a deep and immeasurable sadness stemming from the knowledge that Liverpool FC will never be the same again. This year though has brought about a double whammy: His time in the International stage and in La Liga has come to a close. True, he will still be very much visible in club football terms as he is now part of the German Bundesliga giants Bayern Munich, but now that he has vacated the number 14 La Roja and Real Madrid shirts, the hole that was left is truly a Herculean task to fulfill. And so in the end, I was (partly) right—in my eyes, no one can possibly wear the number 14 shirt of Liverpool FC (and La Roja) ever again and be really, truly, categorically worthy of it. It’s just not possible. 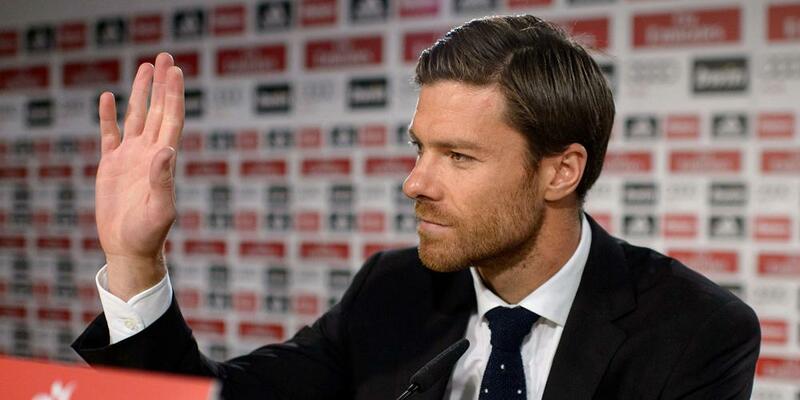 Xabi Alonso set the bar far too high. Limerick no.7: Exit Cules, Enter Los Blancos. The Cules think them Los Blancos are putrid. But wait, how the football tides have changed! Barca now knows the taste of loss so acrid. Football Rap-Off: Jose Mourinho vs Pep Guardiola. Damn right, I’m their entrenador! Damn right, we’re equipo mejor! Daamn. Who says these two aren’t hollaback boys?! Way to keep it OG, hombres. Photos of the Day: DIY Mini Sergio Ramos. For more information on this DIY project, please head on over to my other blog: Marjitecture. Video of the Day: The Special One Gets Catty (And Pokey). Post-Supercopa loss to Barcelona with a 5-4 aggregate tally, Mourinho of Real Madrid walks over to Barca’s Assistant Coach Villanova and gives him a poke in the ear/neck. Was The Special One being a sore loser, or was he just being cheeky (given that he has prior connections with Barca as a staff member)? You decide. All I can say is that his Evil Genius has somehow found a way to take a piece of the limelight off Barca’s victory. Well played, Sir. Well played.